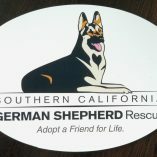 Southern California German Shepherd Rescue is a San Diego-based, all volunteer rescue. 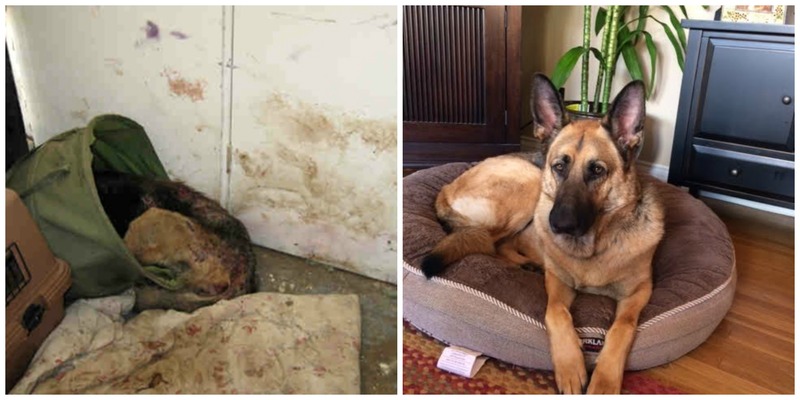 We have no facility to visit, we are a group of volunteers rescuing German Shepherds from shelters, fostering, providing vet care and training, and placing them in forever homes. We either introduce at adoption events or privately. We concentrate on adopting to San Diego County residents. Our dogs have already been displaced at least once, and we strive to place them in permanent homes. Our volunteers and resources such as trainers and veterinarians are in San Diego, we can do home checks and introductions to family members and other pets in the household, and we can provide ongoing support, which results in more successful placements. The first step in SCGSR’s adoption process is to submit an application. A telephone interview will follow and then a home check. We then introduce you to our available dogs we believe will succeed in your situation. Every situation and every dog is different; some will do better with no small children, some can’t live with cats, some need more attention and exercise than the average adopter can give. Our job is to help make the right match. Once a match is made, SCGSR stands ready to help adopters through adjustment issues. Our adoption donations are tax deductible and range from $250 for older and mixed breed dogs to $500 for a purebred young dog. Rescuing dogs without public subsidies is expensive. If you don’t want to pay our adoption donations, please consider adopting directly from a publicly sponsored shelter. SCGSR dogs will be spayed or neutered, current on vaccinations, and microchipped. To those big-hearted people willing to adopt older dogs or dogs with physical problems, we will work with you on adoption donation amounts. The full amount of the adoption donation is payable upon adoption, we do not take payment plans. SCGSR goes above and beyond for the veterinary needs of our rescues. If we are aware that a dog has any ongoing medical issues or history of problems, we share that information prior to adoption. But as with every living creature, we cannot guarantee their ongoing health or life span. Pet insurance is always a good idea, especially if an expensive surgery will mean economic disaster or worse, a decision as to whether or not to have a lifesaving surgery performed. SCGSR provides access to one month of free pet insurance. To use the insurance, you must sign up with the insurer. Regarding birth dates, unless a dog is born to a rescued mother under our care, or comes from an owner turn in, age is a guess based on experience and the advice of our veterinarian. Many dogs come into rescue seeming to be 4 or 5 years old, and after some good nutrition and a loving calm environment it soon becomes clear they are still very young. Understandably, many people want a “story,” an explanation for how and why their dog became homeless. Sadly, there are areas of our State (and all over the world in less affluent areas) where there is no story except a lack of empathy and consideration for animals. They are purchased as puppies on a whim, or their family situation changes, people have children, landlords demand removal of the dog, people’s work schedules change, the new wife is allergic, and on an on. Meaning that most times the story is that there was just a lack of commitment on the part of their owners, and absolutely no fault lies with the dog. The dog demands too much attention, and left alone for days it becomes destructive, jumps the fence, or someone lets it out of the yard, and the owners are relieved its gone. 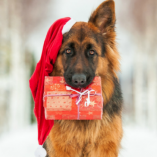 Typical of German Shepherds in particular is that people who purchase them as puppies have read a lot about them online, but did not meet representatives of the breed, and they become overwhelmed by the amount of attention, training, and exercise their dog needs. If an online article states that German Shepherds are smart, people don’t realize that that means the dog will push boundaries and challenge family members. They read that they need exercise, and young dogs can physically outmatch most human beings. One skipped day and you may find your house dismantled. They are extremely strong dogs who can knock down toddlers and older people, they can yank inexperience people right off their feet on a walk and never be walked again. Dogs left alone for too long during the day or not exercised and properly trained can be destructive, they can bark, jump fences, be aggressive toward strangers and other animals. Yet the same dog placed in an environment that understands and meets its needs and who truly love the breed will never exhibit any of these behaviors. 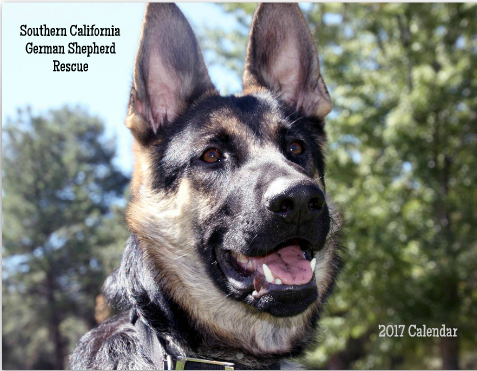 To those of us who love German Shepherds, the time and attention we pay them to become good K9 citizens is part of the pleasure of being the human that belongs to this exquisite breed. But to those who have unrealistic expectations, and just want a regular dog – they can be a nightmare. SCGSR does not adopt to service dog or emotional support dog situations. Our goal is to find our dogs loving homes where they will be full family members and not subject to return to the rescue if they don’t make the grade. We are simply unable to assess our dogs for candidacy as service dogs. Service dogs are highly skilled and bred specifically for the job they do. As many as 40 percent of the dogs specifically bred to be service dogs don’t make the grade. While it is not impossible that some of our dogs will excel and become a service dog, a therapy dog, a Shutzhund champion or a tracking dog, we do not have the capability to predict their fitness for any advanced skill, and therefore we concentrate on placing pets. 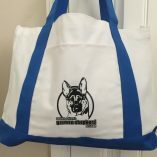 If you require a service dog, there are very many professional organizations who specialize in this type of placement who can help you. A simple google search will provide information on many of them. SCGSR rescues dogs that desperately need our help. 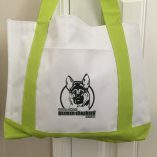 We strive to know each dog, we many times put our hearts and souls into saving lives of injured and sick animals, including raising funds to make them well and staying up all night with sick dogs. We want them to do well and be happy. We do our best to fit dogs to the right home. German Shepherds, particularly young dogs, need a lot of time, training, exercise and patience to succeed. It is critical to understand the demanding nature of the breed, because those demands are why so many young dogs lose their homes at approximately one year of age. They are no longer cute puppies, and their owners failed to understand the commitment they were undertaking. Each and every dog is unique. Some jump short fences, some don’t. Some will bark if left along without another dog companion. Some like children, some like cats. Let us help you choose the right companion. Keep an open mind and an open heart when choosing a dog. If you make an adoption decision based only on the pictures of a dog, and after discussion we believe that it would not do well in your situation, we will not proceed with adoption. These are not personal judgments, and our philosophies may not agree on certain things, but we are all here to help dogs. We want our dogs and adopters to be happy and we have very few dogs returned to us once adopted. We’ve heard all the arguments, and we believe we do the best we can for each of our dogs. SCGSR reserves the right to refuse adoption to anyone, for any reason.